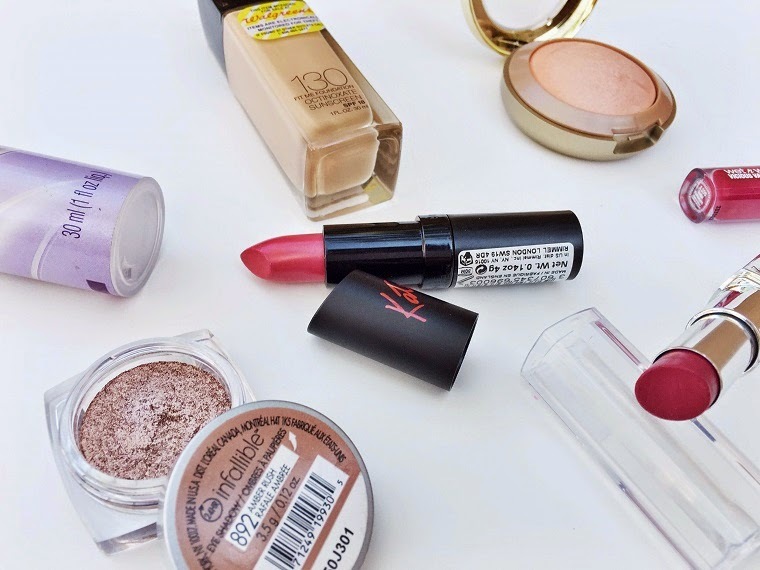 Who doesn’t love a bit of a drugstore makeup haul? 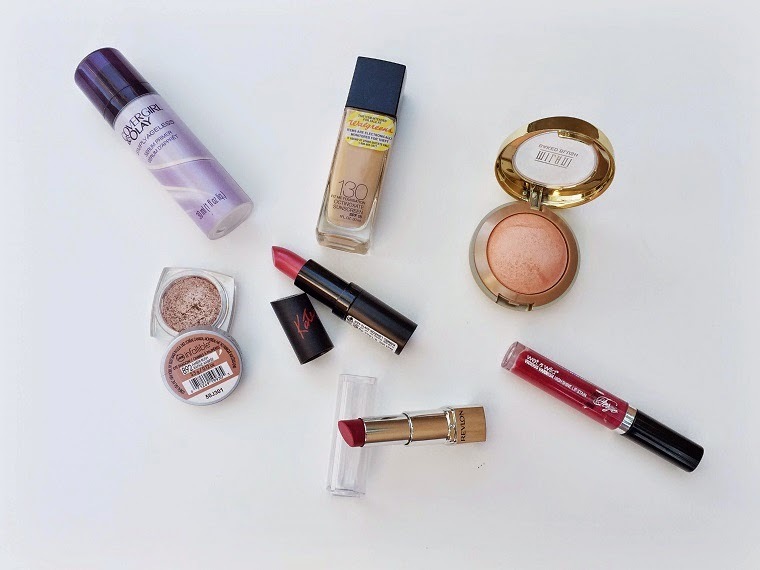 Let’s dive right in to my first impressions of each of these products! The serum/primer is on the pricey side, especially for a drugstore product. I wasn’t 100% thrilled with it especially since it does have such a price tag associated with it. I had the impression that the primer didn’t help to keep me matte as I was a bit more shiny with the use of this product. The Fit Me foundation that everyone and their grandmothers seem to enjoy was not my favorite, and I think it’s due to the fact that I did not manage to scoop up the exact shade for my skin. 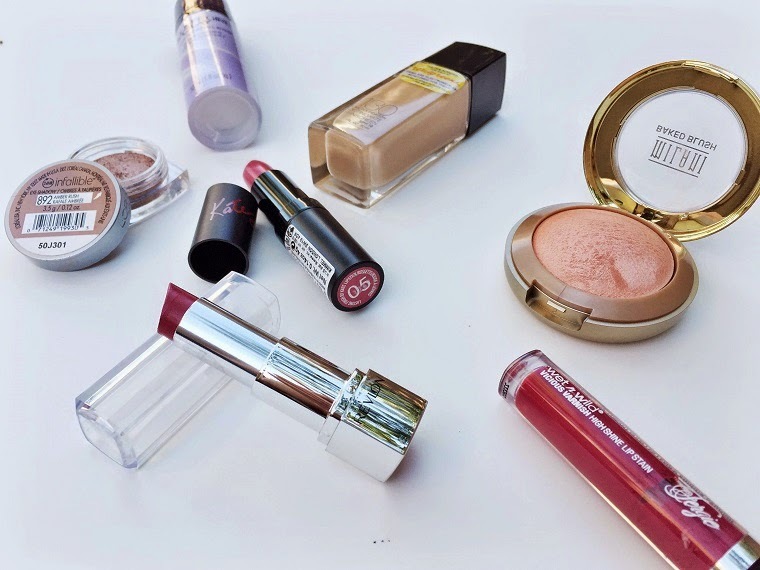 It’s always so frustrating for me trying to find the right drugstore shade when I don’t have the opportunity to try each of the shades beforehand. I will have to exchange this color for a lighter one so I can truly put this foundation to the test. The baked blush is fantastic and reminds me of the Hourglass blushes. I’m still not sure that Luminoso is the best shade for me as it’s darker and doesn’t allow enough contrast with any of my bronzers. I’m going to keep playing with it because I am so in love with the formula, color in the pan, and just Milani in general. The Rimmel Kate Moss lipstick is lovely, and I knew I would like it because I did previously purchase a deeper berry shade. The L’Oreal Infallible shadow is gorgeous and highly pigmented for a drugstore eyeshadow. It’s more on the gold glittery side. 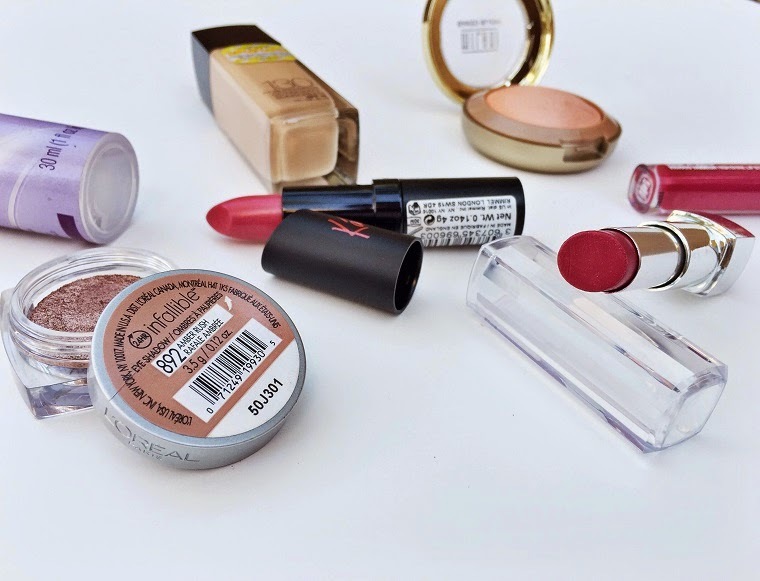 The Revlon HD lipstick does need reapplication throughout the day but is HD upon application and lasts a fairly long time for the amount of pigment it gives. Lastly, the Wet n Wild lip gloss is the most pigmented gloss I’ve ever tried and it even leaves a stain once some of the color has rubbed off after eating. This, also, as you may imagine needs to be reapplied but the stain is very nice as there will be remnants of the color left hours later. Have you purchased any of these yet? What were your initial thoughts?